The world is generally filled with traumatic experiences and situations which could leave a permanent mark on a person. In times when someone already needs professional help to deal with stressful and traumatic experiences and emotions, professionals such as counsellor is called for. Counselling professionals may work in a wide array of industry or application depending on his specialization and field of practice. There are counselling professionals who work for clients who are grappling with personal dilemma such as anger and stress management and traumas. Other fields which need counselling practitioners and assistance include dysfunctional family issues, relationships, career and insecurities among others. There are various areas of counselling which require distinct and varied approach or methods for therapy. In general, counselling professionals do typical work activities as required in their therapeutic framework. Counselling experts must first establish a relationship based on respect and trust with their clients. All counselling contracts must first be thoroughly discussed by the counselling professional to his client to clarify covered issues including confidentiality. Clients do not automatically and initially open up to their therapist. It is the job of the counselling therapist to encourage their clients to talk regarding the issues bombarding them. Anything that a client could not normally and freely share with others, he must be able to share with his therapist. A counsellor is someone who is trained and skilled to show empathy towards his client. People who seek counselling assistance and help are those who are bombarded with a lot of problems they could not deal with on their own. Counselling practitioners do not primarily advise and tell their clients what to do and not to do. They are there to attentively listen to what their clients have to say and share during the session. Counselling experts have the background and training to feel and empathise with the situation of the people who seek their help. They are not there to judge their clients. If you counsel, you basically accept the issues and problems your client raised and this must be without bias or impartiality. During a counselling session, the therapist is primarily there to help their client express their feelings, emotions and concerns. Counselling therapists help their clients have a better and deeper understanding of their issues and concerns. If counselling experts find any inconsistencies in what their clients do or say, they must challenge them and encourage them to look deeper to fix the problem upfront. Though therapists do not give advice and recommendation, their main aim and objective is to help their clients make sound decisions and choices. A licensed and reliable therapist is someone who could offer options to their clients as well as possible ways to move on with their lives and get rid of their problems once and for all. 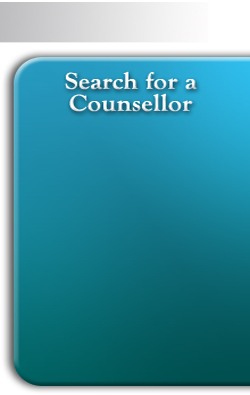 A counsellor is an essentially important figure especially in the world filled with stressful and traumatic realities. They provide therapy for their clients and help them bounce back to a more remarkable and quality life.